I will admit I am usually the Grinch at Christmas but this year I've been feeling very festive and have been fully supportive of the season but I'm very aware that not everyone is in Buddy the Elf mode, not even close. When Kellie from Big Fashionista but a call out if anyone wanted an updated list of helpline numbers to share I knew I wanted to put up a post and share these numbers. If they help only one person then that's great. My Christmas day isn't usually great, it isn't a time of celebration but more a mad dash waiting hand and foot on my gran's and missing out on a slice of Roulade as one of my grans demands seconds. In the grand scheme of things this is such a small thing. A couple of Christmases ago I was dreading the day itself. As the few days leading up to it my Grandad who had (He's now passed away so I'm using the past tense, is that right?) was truly horrible to me, he was calling me a monster and running and hiding from me and calling me every name under the sun, once he's calmed down and bit he kept coming up to me & putting his hands over his face and screaming (Like what little children do when watching things like Doctor Who). It left me so shaken and scared that me being their would ruin Christmas day. I pretty much hid on Christmas day and stayed in the kitchen and made my dad get me food from the buffet. If my Grandad came into the kitchen I went in to another room. I know it was his illness and he didn't know what he was doing but none of us knew how to deal with it. Sadly that's the last Christmas I had with him as the following year he was too bad to come out of his residential home. 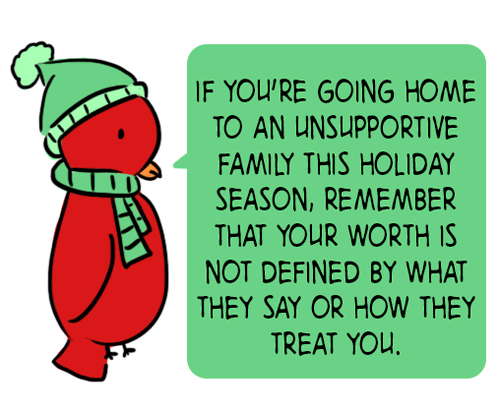 You may have seen the below image floating round social media and it's very true, don't let anyone ruin your time with family. I don't have any wise words of how to deal with that but always know you can reach out to social media and someone will be their for you. However if things are a bit more serious that needing someone online to chat with and have a little time out there is a host of help available out their and you are not alone, you don't have to muddle through. If you need help please reach out to one of the helplines below. 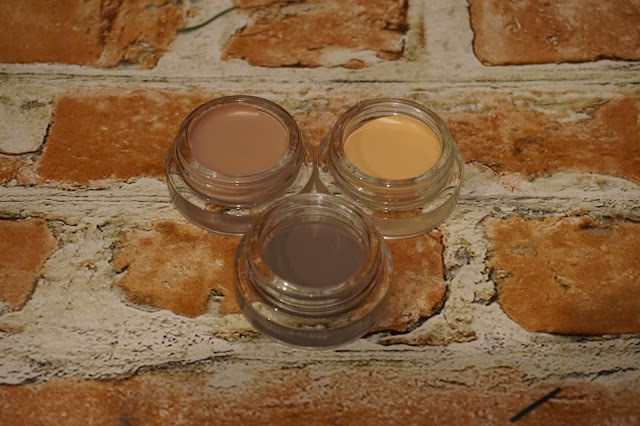 My current YouTube collaboration, Makeup Through the Ages is on a little Christmas break until 8th January, when we will all be back with our 1960's looks. In the mean time Simply Be got in contact with ideas for a post on how underwear has changed over the past few decades and how trends come and go. In our current decade we are really lucky has we have such choice and can take trends and elements from past decades in makeup, underwear, fashion and life to get the best of everything. Like a lot of people these days when I decide to research things I'm most likely to take to Pinterest more than anywhere else. 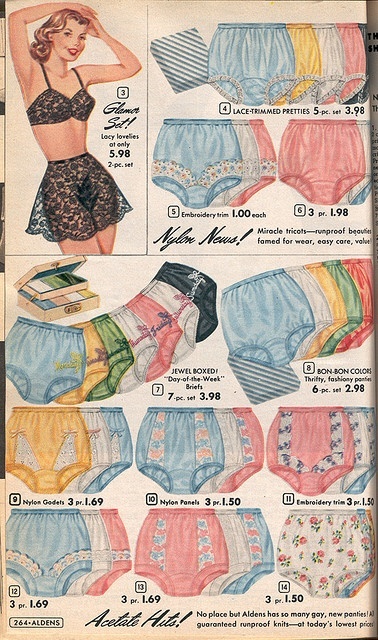 I've been on a pinning mission and looked at vintage underwear sytles. We've come a long way from the Victorian corsets all the way round to corsets being back in for a lot of people. 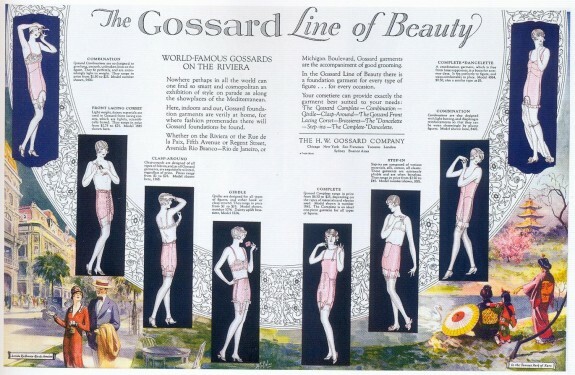 The 1920's was still very much about corsets and girdles but looking at this advert which I came across on Vintage Dancer shows a slightly more relaxed version of what I'd imagined to still be very restrictive. I feel like underwear was becoming more practical for women in this era. Looking through the decades shapes and styles seem to vary only slightly for a few decades and while I'm sure there were some massive advances in manufacturing and fabrics styles and colour are fairly static. Lets call it classic and you can still buy similar items today. I spotted this on the Simply Be website. The 1950's is the decade where we start to see more fun, colour, different fabrics, patterns and things are looking a lot less restrictive and comfort seems to coming in. It also sees a move away from but still including girdles and the like. I don't think we will ever get away from things like that, we might call them spanx, shape wear but while we might not all like to wear big knickers these days these look a lot comfier than in previous decades. For a modern, comfy equivalent but make be not as pretty, I instantly think of brands like Sloggi's & Playtex. I have to admit some of the favourite knickers I own don't look too dissimilar from some of these and they came from a supermarket multipack buy (they were an emergency purchase when I'd not packed enough pairs and they were the only plus size ones they had in) We might not instantly be attracted to these styles but they deserve a bit of kudos for comfort. I think looking back at all the decades the 1960's & 1970's have to be my favourite and I think a lot of their influence is still firmly around. There was far more choice, not only in style but prints and fabrics. The more modern shapes and sizes of underwear are coming through but the highwaisted pants are not ready to go away and I think they are not going anywhere soon. Simply Be kindly gifted me two underwear sets and my choices have a very 60's / 70's vibe to them. I'm not a fan of shapewear but I love a highwaisted knickers to help create a smooth line without being restricted. I was hoping to take some pictures but lighting and time haven't allowed it. I honestly can't fault either set and I can't decide between a favourite. Both are well made and comfortable. I love the fun print and style of each set. Simply Be have also written a couple of posts on their blog about Bra Trends and Retro Bra's that are back in style. What is so good about Simply Be's website is the bra sizes includes mine 40B if you are interested. With some many Plus Size Bra's they start at a D cup which isn't great for a lot of us. These two sets both go from 34B to 46/48 DD Some sizes have E / F cups as well. 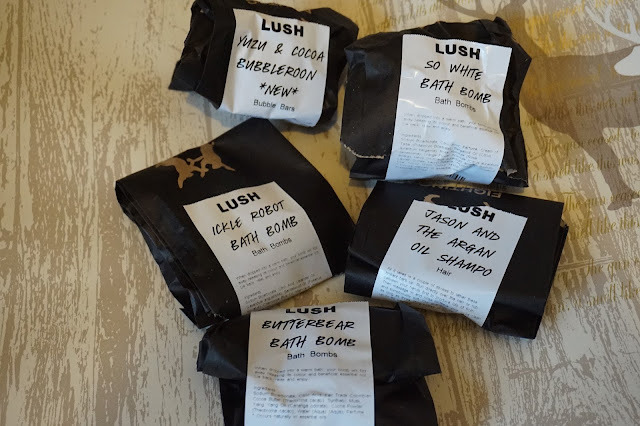 I'm feeling very festive this year and I decided to pop into Lush and get some of the festive loveliness they bring out each year. I think I may have failed in my mission as I think only two of the things I got are from the Christmas range. The reason for my failure was glitter, that sparkly work of evil (Ok bit extreme - I was a magpie in a former life and usually love sparkly things but not in a bath bomb). There were a couple of favourites that I wanted that are now coated not just sprinkled in glitter, the rose jam bubbleroon to name just one. I'm going to go back and get a bottle of the shower gel / bubble bath. I also forgot to pick up a bottle of snow fairy. I tried to pick up new things to try and I find it really hard to distinguish different smells when I'm in store as everything is so highly fragranced. A couple of the assistants were trying to get me to describe the smell of the Yuzu and coco bubbleroon and I couldn't put my finger on any specific smell. Now I'm home i've given it a good long sniff (as you do) and it as a distinctively baked good smell, not quite pasty but not quite cake. It does smell good and I'm looking forward to trying this. After the disastrous choice I made with the shampoo bars the last time I bought one (the orange one, it was horrible and crumbled and did nothing for my hair) I was reluctant to buy another. Also we have at least 6 bottles of shampoo on the go in the bathroom. 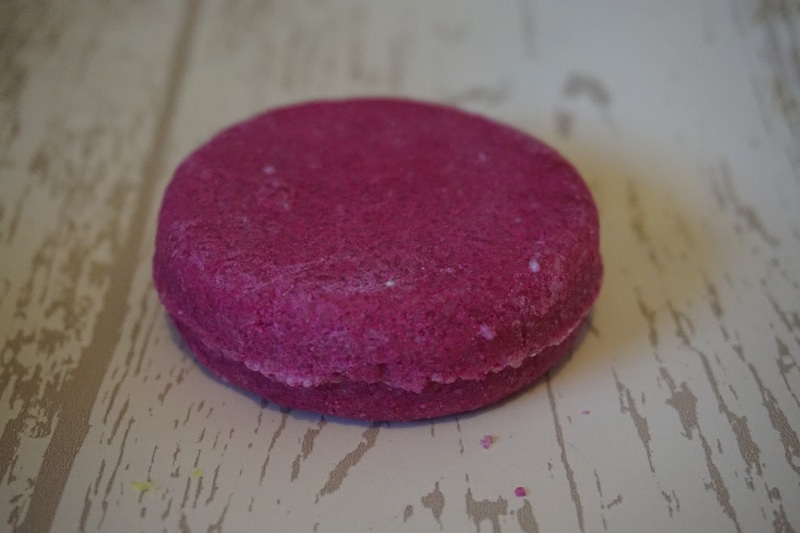 I had a bit of a wait for the till and was stood near the shampoo bars and The Jason and the Argan Oil one has a Rose Jam like scent, which I was hoping would make up for all the glitter on the bubbleroon. I haven't tried this but I'm excited to try it. 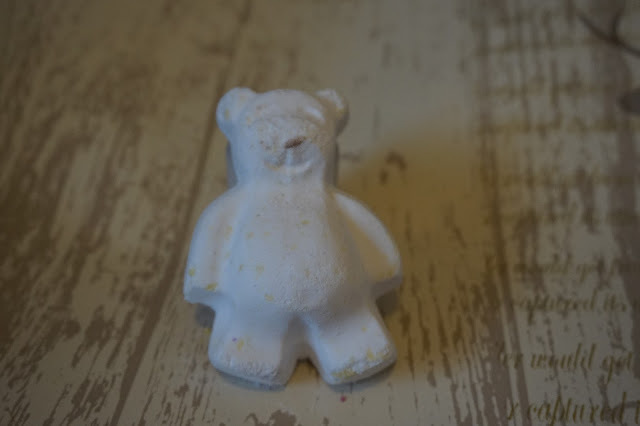 On to a Christmas favourite and I know the Butterball is around all year but Butterbear is a perfect size, I love that he is white and how moisturising he is. He is also adorable and a bargain at £1.99. I really do prefer the all white, no bits, not glitter, no mess simplicity of this bath bomb. 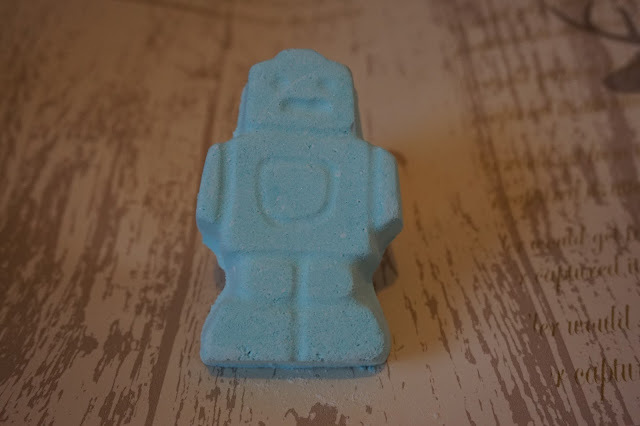 If there is one things that I have repurchased the most from Lush this year it has to be the Ickle baby bot bath bomb, for me this is great value at £1.99 and a product I can easily justify and afford. It smells amazing and does really relax me. I love that it's available all year round. My final product was a bit of a gamble, I'm not sure I like the smell but it's pure whiteness appealed to me. I believe this is colourful inside and I will be testing it out as soon as this post is written. 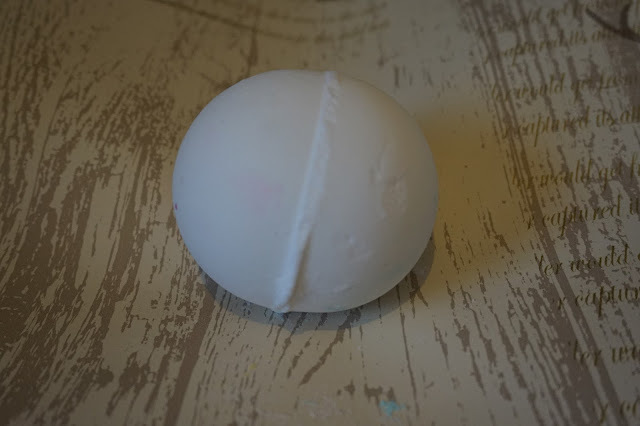 I do think the standard sized bath bombs are a bit too big and over priced. I wish they all had the option of the smaller size. I know you can cut them down but I really don't want to go through that effort if I can't break them in half with my hands. It seems like months ago since Katt suggested doing another #PSBloggers Secret Santa. My parcel arrived the first week of December but I wasn't feeling great so I put it in my cupboard for a few days. I did do the opening on camera so if you want to see my reaction please check out my YouTube video. I was feeling really crappy all week, I've not felt well. I'd been getting wound up my things I'd seen online and I decided opening the Secret Santa gift was just the thing I needed. 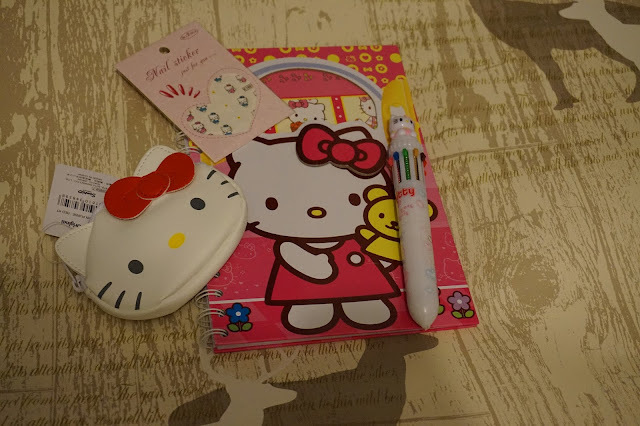 I did guess half of what was in the package, as in a notebook and a chunky pen, but i didn't imagine it would be Hello Kitty. I couldn't have chosen better myself, I love HK and stationery so this is a perfect gift for me. 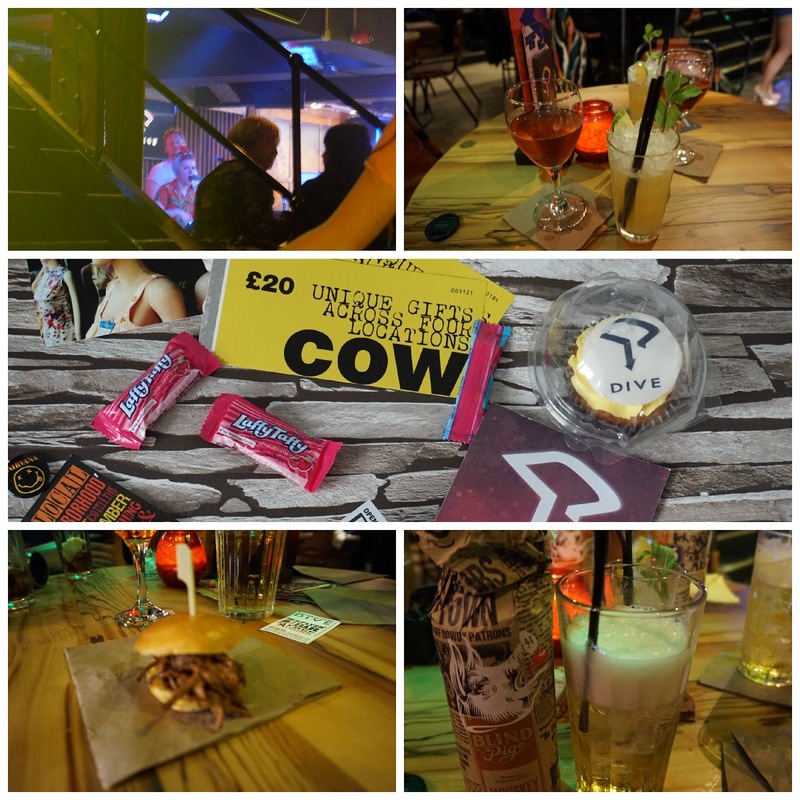 Last week I was invited to the launch night of Dive NQ on Tib Street in Manchesters Northern Quarter, they had invited along a number of local bloggers as well the press. As we walked in the first thing that surprised me how much space there is. There seems to be a vast amount of space, there is plenty of different seating choices from standard tables, booths, comfy chairs and they have the flexibility to hire out sections of the space. There was a really good atmosphere and they had live music which I really enjoyed, the singer had a sort of Imelda May type vibe but I'm shockingly bad and hearing and knowing what music is what so I hope I haven't got that totally wrong! I've been googling to try and find her name but google is failing me. My lovely friend had come with me and we had a good catch up while we samples the wine, a cocktail and a drink that I'm still not sure I loved but was interesting and worth trying. The brand is called Blind Pig Cider and there were three flavours. We picked out the Whisky, honey & Apple flavour. It didn't have a strong whisky flavour and it went down easily. 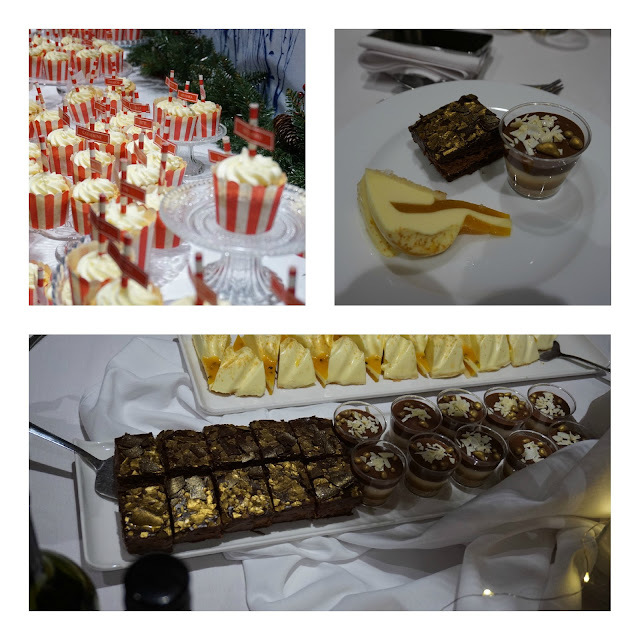 As well as the complimentary drinks they brought round some sampling platters of the food, from the food we tried the spicy prawns and the pulled pork sliders were a massive hit and peanut butter brownies alone are worth a visit. I've just been looking at the menu and I think I'd like to try almost everything on it and hope to arrange to go back with the girls for taco's and cocktails. While we were their we got invited to have a turn of the tombola and I won £40 in We are COW Vouchers, I've spent plenty of time window shopping at their old store when it was in Piccadilly gardens. I hadn't twigged they were one and the same on the night. I need to find time to go in and spend the vouchers. I've spotted a couple of handbags on the website so I've got high hopes for finding something I love in store. I did also record a few clips of the night and talk about the contents of the goodie bag we were given on the way out. A massive thank you to the team for making us feel welcome and putting on a really great night. I've almost run out of my current facial wash and I've deicide to try some of the Soap & Glory products again. I've use the Peaches & Clean before and a friend recommended the Vitamin C Facial Wash. I've been using both of these for a week or so now and I like both of them, the Peaches and Clean seems to have changed slightly since I last used one and It doesn't seem as good in my opinion but these bottles are huge and it was a big leap on my part so I'm throwing myself into using them. 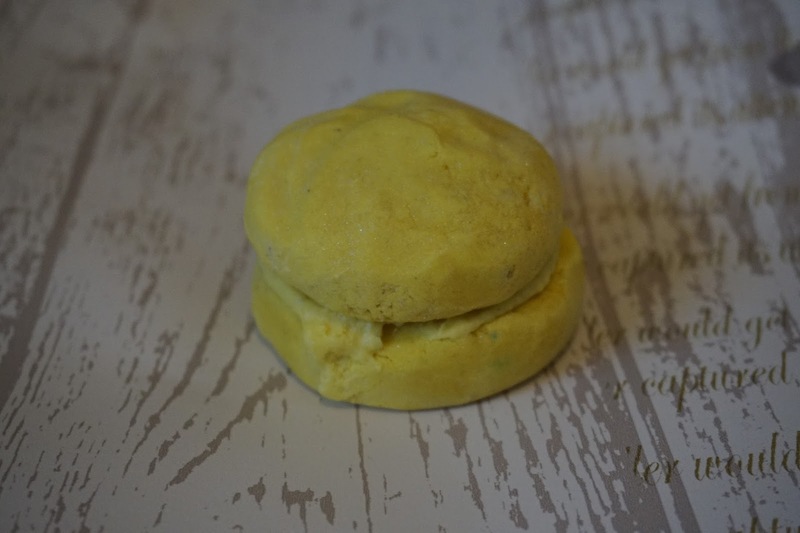 The Peaches & Clean is good for removing make up as it seems to melt away products and I use this as my first cleans. I haven't had to really make it work as I haven't been wearing a huge amount of make up but I feel like it will do a good job. This Vitamin C facial wash does really make my face feel clean but I'm not keen of the pink burst bubbles in it. I'm not sure they really do anything for me. It's early days of using it. I like how clean my face feels and I'm hoping it is going to help out my facial demons. I got the two as it was buy one get one half price so for the two it was £12 in Boots. Have you tried either of these? What are your thoughts on them? 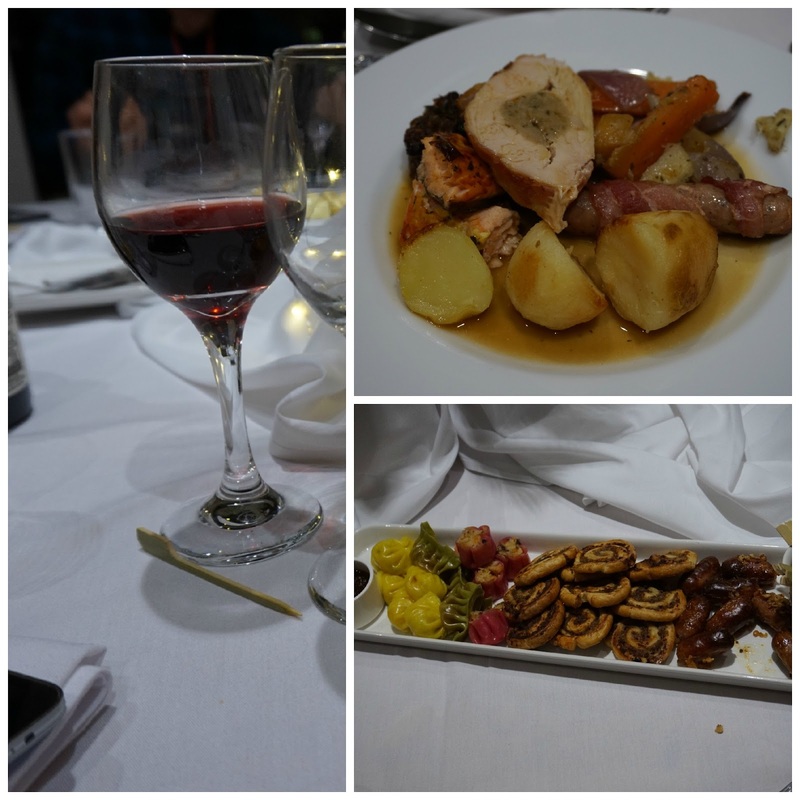 At the end of November I went to the first blogger event at Housing Units. In the goodie bag they kindly gave to us was a voucher for afternoon tea for two. This was a really unexpected surprise but a very nice one. I had booked Friday off work to do some Christmas shopping and asked if my mum fancied a little trip to Housing Units. We had a wanted round and I think my mum's shopping list came to about £7000 in the first building without looking in the Emporium and Fireplaces. She's picked a sofa that is so big I think we'd have to know through every house in our row to fit it in. I would recommend booking a table, we got there about 2pm and the cafe was packed, I'd booked for 2.30pm but they were happy for us to go in early and a couple in front of us asked for a table and had to wait 25 mins. One of the lovely things is that the afternoon tea's come out on individual platters and it was really well presented. Another nice touch for me was the sandwich flavours, they were plain and simple, cream cheese and cucumber, poached salmon, egg mayo as well as chicken and stuffing. The top tier was made up of a prosecco jelly, scone with butter, jam & clotted cream, a mini Victoria sponge cake and a mini fruit tart. 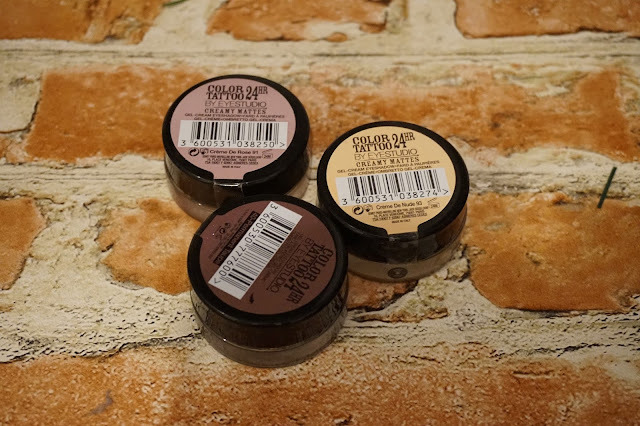 It was a really lovely afternoon, we really enjoyed looking round and I treated myself to some Bomb Cosmetics bath products and you could easily spend a few hours looking round at all the different stores. I'd say for the past month or two I'm really been out of the blogging loop and my mojo has been MIA. in the couple of weeks running up to December a few events have popped up and I've been trying to push myself out of my comfort zone. Last Monday The Press Tent had organised a Bloggers Bazaar at Yard & Coop in the NQ. The weather was awful on the night of the event. I'd also been invited to another event on the same night which was sadly cancelled and I was in two minds about going as I had a real bad case of anxiety about going somewhere alone. I normally prefer to go alone and meet people at the venue but I hadn't seen much chat on social media about the event on the day, the weather was bad and I was just not feeling it. But as I hate to let people down and I hadn't let the organisers know I was a maybe, I decided to go. I'm so glad I did I was warmly greeted by the lovely Betty Pamper, we laughed, I bought pants (A post in the pipeline - It's worth the wait). I had a lovely chat with the people from Nine to Five who gave me a pair of insoles to wear with heels which I'm hoping are going to be a life saver with the Christmas Party season rapidly approaching, they also gave us the little yellow ball which you use to relax your feet. 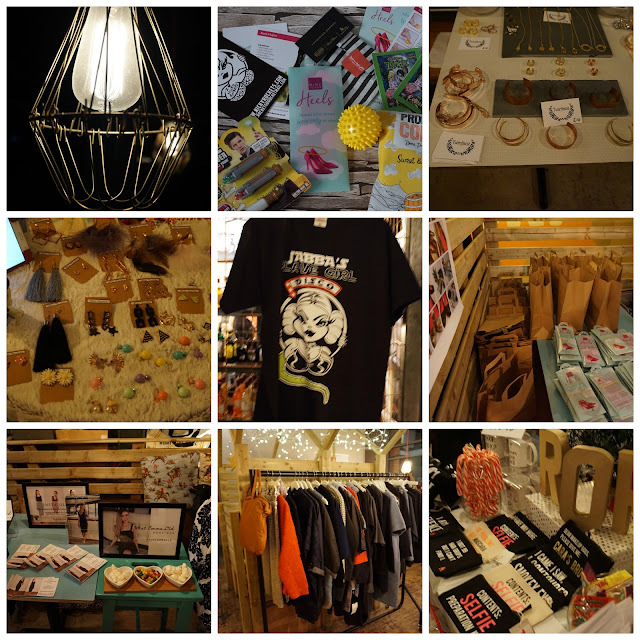 It was a really lovelty event and what was really nice about it was that it was bloggers with brands on the majority of the stalls, they had some understanding of what we were looking for and how we think. There were a few other brands which I'm not sure if they were bloggers as well. 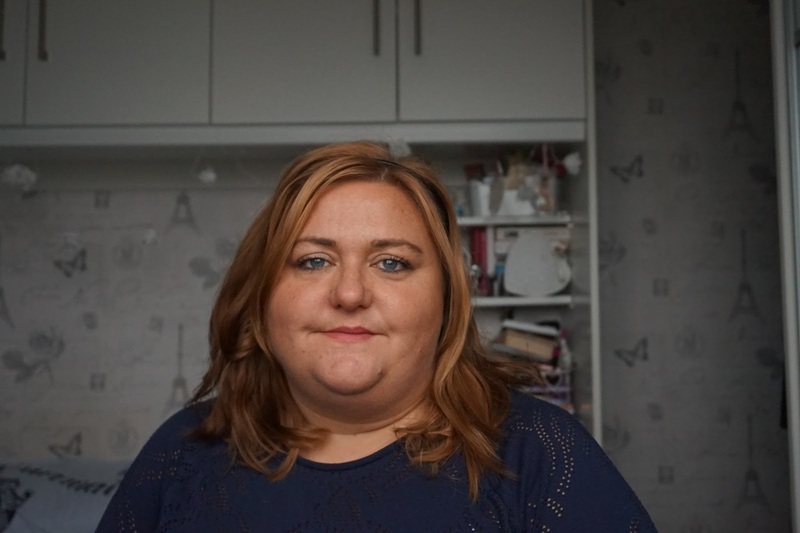 For me I was one of only 2 plus size bloggers there and it would have nice to have more inclusive brands and more sizes catered for, rather than people looking awkward and saying we sell oversized clothes. I'm posting this more as a memory for myself than anything else. On Thursday morning when I got into work the two people who report to me handed me a Christmas gift, I almost cried. It was really unexpected. We don't really do gifts other than Secret Santa. I put the gift to the of my desk then after about 30 mins one of the said I could open it! I really like that they got me things that I love they got me things I love. The zip on my current make up bag is about to break any second and if you follow me on Pinterest you'll know I have a board dedicated to the Letter S so this really appeals to me. 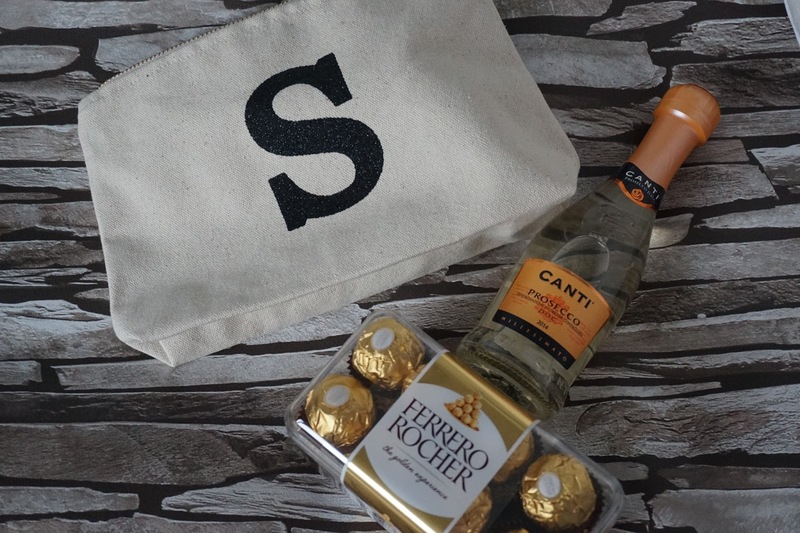 It's from Matalan, they also got me Prosecco which is my wine of choice and my most Favouriest (not a word i'm sure) chocolates. I feel really lucky to work with the people I do and I'm very grateful for my gifts. 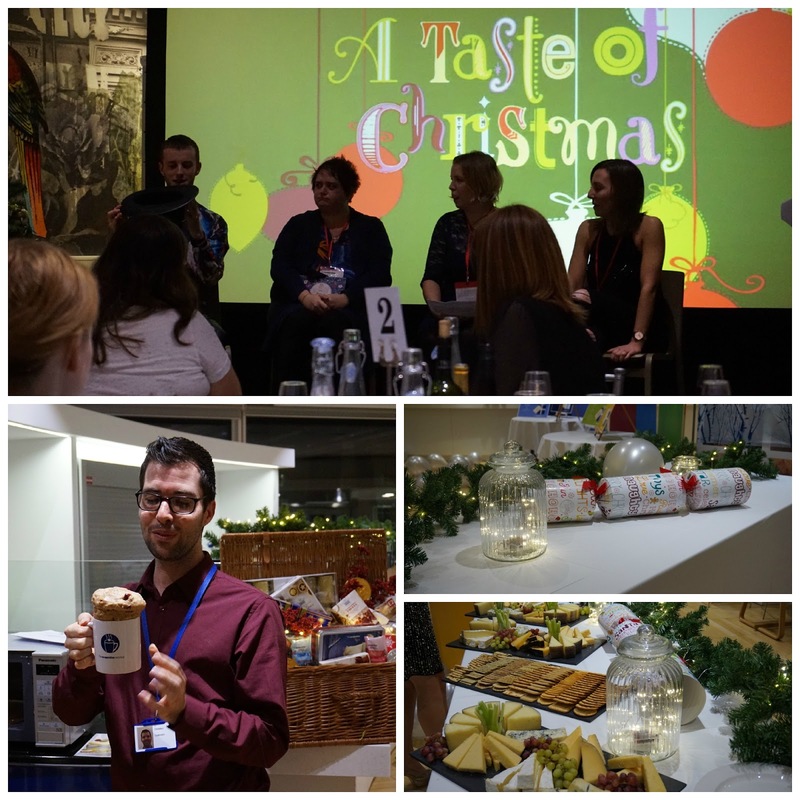 Last Friday I went to the second #OnTheList Christmas event by The Cooperative and I wanted to share my thoughts on this years events and not to mention some photo's. Once in a while an event turns up that really is a magical affair, one that gets bloggers together, gives them Prosecco and really had a the feel good factor and that's exactly what The Cooperative did this time last year. It's event that has probably been mentioned the most at other events. 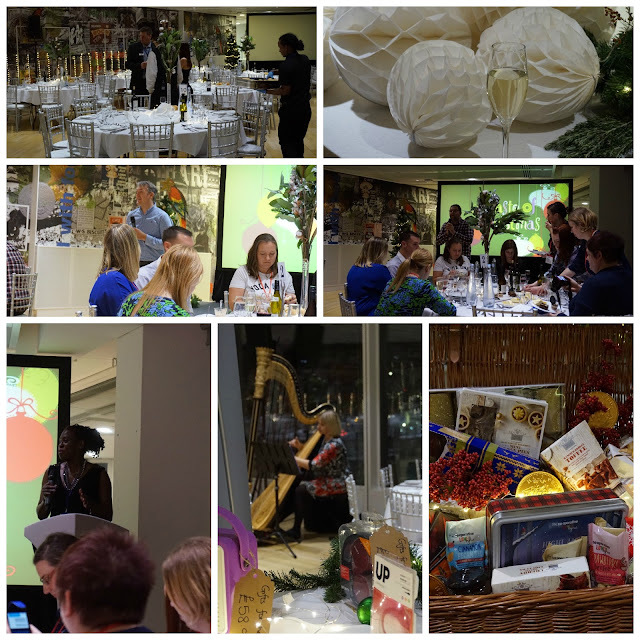 It had Heckles, did I mention Prosecco and lots of other fun activities. When I got this years invite I was hoping I could make it and I didn't really think it would be much different but you guys. You have a little bag of surprises up their sleeves. This year we started by mingling and chatting, catching up, lots of laughter and hugs to be had. We had an agenda on the back of your IT Passes, which said food sampling or similar followed by talks and a panel. 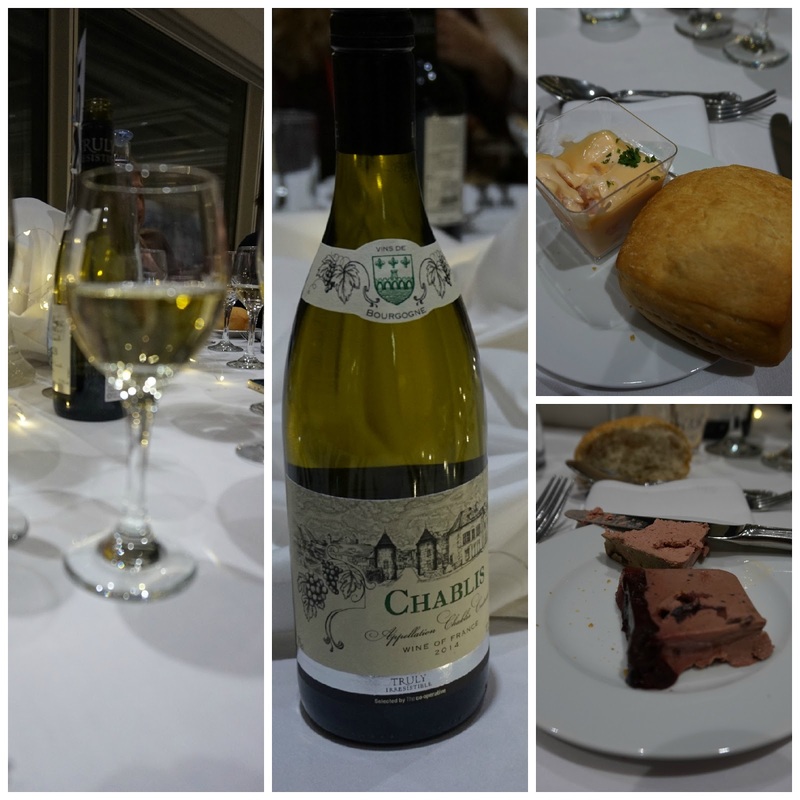 The food sampling was a full Christmas dinner, with appropriate wines per course. I think that surprised all of us. We started with individual Prawn Cocktails which is my favourite and pate which is a close second favourite. Everything was really good and I think I might buy some of the individual prawn cocktails to take for my lunches at work. For the main course we had a the first Christmas dinner of the season. Everything was really tasty. It even had a couple of chunks of Salmon on the plate which was a bit unusual but it worked. Between the main course and pudding they brought out a platter of snacks including dimsum, pin wheel sausage rolls and one of the nicest things I've ever tried which was cocktail sausages which were glazed and were topped with popping candy crackling. Amazing. Between each course the product developers gave us a little but of info about the products and I think the puddings developers got the biggest cheer of the night. I'm not sure if it was because the food was on the table already or because we all really love cake! The winner for me was the little pot, I'm not quite sure what it was but it tasted great. We ended the night with a panel Q&A, some microwave mug cake recipes and they had put on cheese and biscuits incase they hadn't fed us enough already!! The Cooperative event this year was more than I ever expected, they surprised us all in a good way. I wish I'd spoken to more people as I know people I wanted to meet where there but I didn't get a chance to say hello. A huge thank you to The Coop, who not only fed and watered us sent us on our way with a goodie bag, which I will mention in an up coming post.